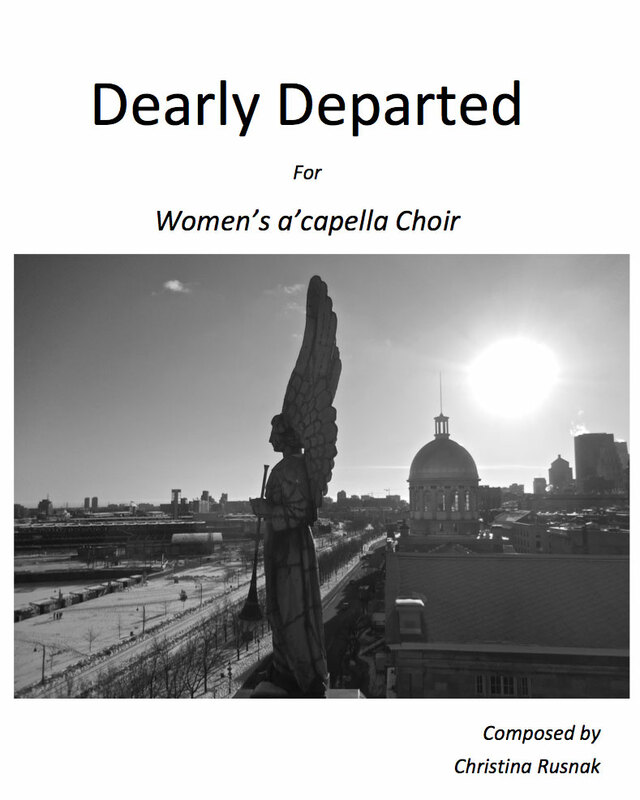 To compose Dearly Departed, I researched liturgy from across faiths and secular sources. Many only present a funeral sequence with suggested scripture and hymns. Composers across the ages have created requiems and masses for the occasion. Many people select favorite popular songs of the deceased to be performed. I sought to create a piece which would be equally appropriate for use by all people and in all place. I’ve integrated fragments of the liturgy and, De Profundis (Psalm 130, out of the depths), which has been used by composers as diverse as Mozart, Arvo Part, and Jonathan Newman, and by poets such as Alfred Tennyson, Oscar Wilde and Federico Lorca. Interspersed is my own text expressing the feelings of the funeral attendees and the innermost thoughts of a grieving family and friends. Available as bound score.